A.T.E. manufactures and/or integrates automated analytical control systems with Walchem controllers, pre-engineered dosing skid systems with Iwaki pumps, and TeraFlow hydropneumatic systems that cater to various applications in a variety of industrial sectors. A.T.E. offers flexible, customisable, automated dosing controllers from Walchem for water management applications. 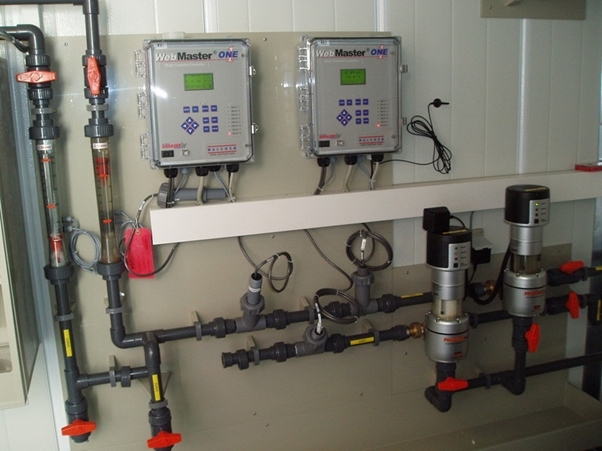 This automated dosing controller by Walchem is an integration of advanced sensing, instrumentation, fluid pumping, and extensive remote data communication technologies into a compact package for the global water treatment market. With the flexibility to be used in an assortment in applications, Walchem’s automated controllers are ideal for water management. Handles multiple towers, boilers in closed loops or any combination. 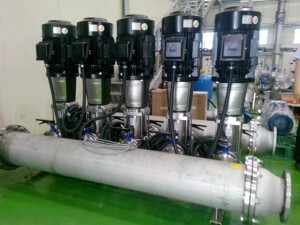 The undisputed world leader in dosing and metering pumps, Iwaki specialises in seal-less magnetic drive centrifugal pumps. 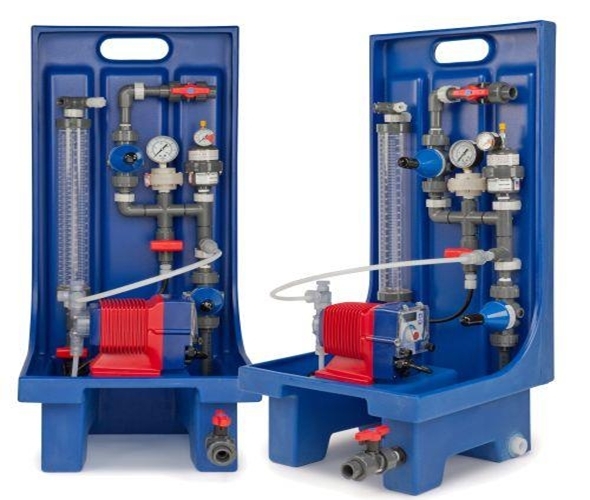 These pump systems are ideal for use in a wide range of industrial processes in the pharmaceutical, food and beverage, paper and pulp, sugar, textile, electronics and semiconductor, and other industries. TeraFlow hydropneumatic (HyP) systems are engineered using the most stringent quality standards. At the heart of these HyP systems are A.T.E.’s TeraFlow centrifugal pumps and instrumentation & control systems made of the best control gear. 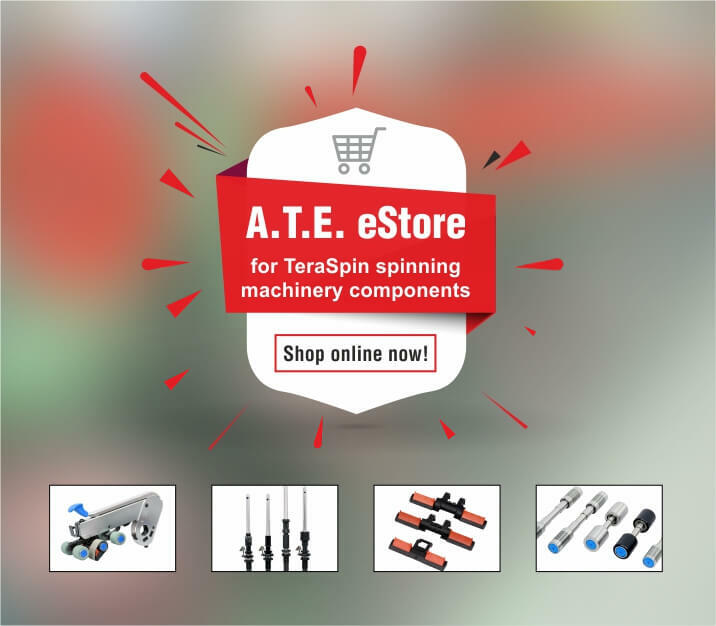 The scalable design of the TeraFlow HyP systems enable a variety of configurations, ranging from fixed speed systems to advanced and fully automated variable speed systems. The TeraFlow HyP systems are available in a wide-range of configurations of pumps (vertical, horizontal, submersible), and with varying levels of automation and intelligence, and are designed for the lowest total cost of ownership. A.T.E. offers single tank sewage treatment plants for residential and commercial applications. Manufactured by Daiki Axis, Japan, these plants employ a 2 stage anaerobic-aerobic biological process which enhances the treatment efficiency and offers up to 50% cost savings. The entire treatment process – separation, sedimentation, anaerobic-aerobic biological stage, biomass settling, and disinfection all happen in a single tank design, resulting in a lesser space requirement. The overall process is virtually noiseless and requires very low maintenance.